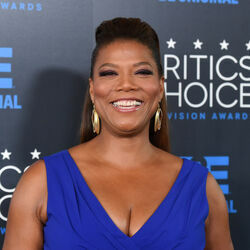 Queen Latifah net worth: Queen Latifah is an American singer, songwriter, rapper, actress, model, television producer, record producer, comedienne, and talk show hostess who has a net worth of $60 million. Queen Latifah was born Dana Elaine Owens on March 18, 1970, in Newark, New Jersey. She has long been considered one of hip-hop's pioneering feminists. Her work in music, film, and television has earned her a Golden Globe award, three Screen Actors Guild Awards, two NAACP Image Awards, a Grammy Award, multiple additional Grammy nominations, an Emmy Award nomination and an Academy Award nomination. Her stage name, Latifah means "delicate" and "very kind" in Arabic. At 5'10" Latifah was a power forward on her high school girls basketball team. 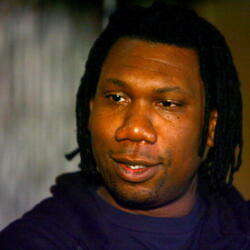 Latifah started beat boxing in the late 80s and got the notice of the host of "Yo! MTV Raps". The song got the attention of Tommy Boy Music employee Dante Ross, who signed Latifah and in 1988 issued her first single, "Wrath of My Madness". Latifah made her mark in Hip-Hop by rapping about issues of black women. Her songs covered topics on domestic violence, harassment on the streets, and relationship problems. She released her first album "All Hail the Queen" in 1989. 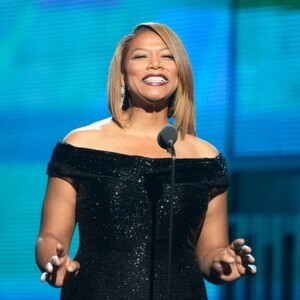 Throughout her lengthy career, Queen Latifah has appeared in numerous high profile films and television shows. She was the host of the successful "Queen Latifah Show". She has starred in several movies including House Party 2, Set It Off, Brown Sugar, Bringing Down the House, Taxi, Barbershop 2: Back in Business, Beauty Shop, Hairspray, Valentine's Day, Just Wright, The Dilemma, 22 Jump Street, Girls Trip, and more. Queen Latifah starred as Khadijah James on the TV series Living Single from 1993 to 1998. Her latest album Persona was released in 2009 and reached #3 on the US R&B chart. Her singles "Unity" and "Bananas (Who You Gonna Call?)" both reached #2 on the US Rap chart.